A video of the Estudio, Guto and his works was featured this weekend as part of the Creators Project São Paulo. Check out the video! Below you will find a text on Guto and the Estudio. One of the themes near and dear to the work of architect Guto Requena is his love for São Paulo, the city in which he resides, and his desire to transform it. São Paulo has many visual delights—hidden amid the largely stagnant and aesthetically-confused architecture—and these are a great source of inspiration (and challenge) for Requena’s designs. With his firm Estudio Guto Requena, Requena takes a process-oriented approach to design, focused on experimental techniques, and strives to be socially and geographically conscious. The search for this combination of factors might be best illustrated in two of Requena’s latest works: the Once Upon A Time collection and Nóize Chairs. Both projects were designed from capturing and mixing audio, before being digitally manipulated and manufactured to form a final product. The first project, Once Upon A Time, is a collection of four glass vases that were inspired by stories Requena’s grandmother used to recite to him as a boy. He captured her stories as MP3s and ran them through Processing—her pitch and tone creating the curves in the final vessels. “Each vase is the materialization of a volume of fables,” says Requena in his artist statement. The results were 3D modeled and hand-blown at a local São Paulo glass studio. In Nóize Chairs, Requena manipulated classic Brazilian furniture design with captured audio from the streets of São Paulo. The final designs incorporate Processing visualizations of the audio and were 3D printed in Denmark. In our behind-the-scenes video above, we visited Requena’s São Paulo studio and talked about the impact of digital technologies, the city of São Paulo, the responsibility of living in a hybrid era, and the unique transition from analog to digital. Third Season: “Casa Brasileira” on Television Channel GNT! 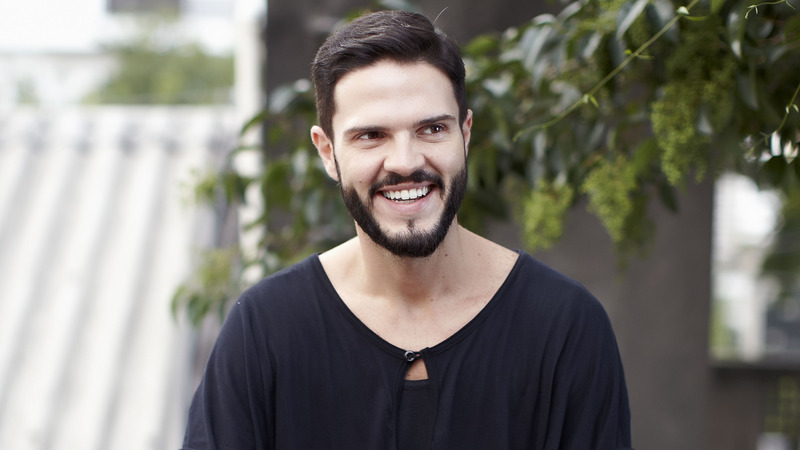 Baba Vaccaro, our dear fellow Brazilian designer, heads the third season of the show “Casa Brasileira”, aired on cable televsion channel GNT. The show deals with architecture and the Brazilian way of living according to the most accomplished architects in the country. Each show presents the home of a famous client of these architects in order to illustrate their concepts. The first episode went on air July 27th. Don’t miss the second episode on August 2nd, featuring architect David Bastos!